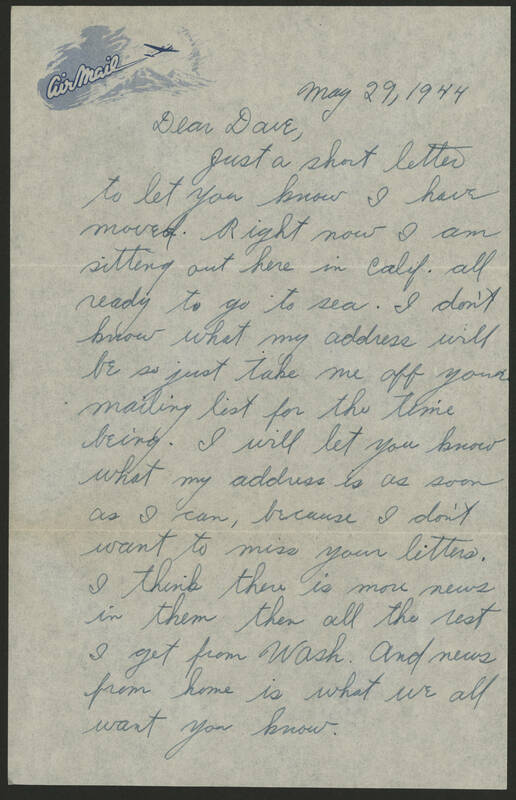 May 29, 1944 Dear Dave, Just a short letter to let you know I have moved. Right now I am sitting out here in Calif. all ready to go to sea. I don't know what my address will be so just take me off your mailing list for the time being. I will let you know what my address is as soon as I can, because I don't want to miss your letters. I think there is more news in them then all the rest I get from Wash. and news from home is what we all want you know.